The 2006 marks a year of dramatic change for the MTV Video Music Awards. In contrast to years past when some mysterious cabal locked in a back room clouded with cigar smoke determined who would walk away with a Moonman statue, this year MTV viewers were given full democratic rights and could vote in all categories. Previously, those wishing to participate in the process were relegated to the *yawn* Viewer’s Choice Award. Although MTV is still selecting the nominees, this is a fairly gutsy move. Not only are the network bigwigs now essentially testing the public’s support for their programming decisions — and at MTV’s premier event no less — but they are opening the process up to possible manipulation should a particular artists’ fanbase prove unusually active in the voting process. Should voting appear skewed by a crazy result at tonight’s awards, a lot of eyeballs and ad dollars are at stake as well as any respectability that MTV has — don’t laugh. Another new feature of this year’s awards that seems oddly doomed to failure is the addition of two new categories aimed at attracting the attention of online gamers. Partnered with Gametrailers.com and Xfire, the new categories of Best Video Game Soundtrack and Best Video Game Score would seem dead on arrival. The problem is that it asks viewers to remember something that is typically in the background while they play. Only a Best Muzak Without Video Footage category would be a stranger contest. These new categories ask a lot of viewers, especially considering that this is a channel that prides itself on lowering the world’s collective attention span. Despite these new twists this year, the VMA front-runners are easy to spot. Shakira and the Red Hot Chili Peppers dominated with seven nominations apiece and go into the show as early favorites. Other top contenders are Madonna and Las Vegas rock group Panic! At The Disco, who got five nominations each. Christina Aguilera is next on the list with four nods. How will this all turn out? Balance will be the word of the evening. We should expect to see some aging veterans — like Madonna and the Peppers — get yet another chance to bask in the awards-show glory while several newer acts — Panic! At The Disco, Gnarls Barkley and Rihanna — will be anointed and promoted to pop music’s upper echelons. Don’t look for anyone to come away with a sweep. Prediction: The Red Hot Chili Peppers. Somewhere during their 20-year-old career of being some of the most talented corny, cartoon-ish buffoons in pop music, the Peppers got some respectability. Maybe it’s simply their endurance. Or maybe it’s the occasional musical gem that they’re able to come up when the laughter at them gets a bit too loud. In a show that’s always woefully missing elder statesmen, the Peppers fit the profile at this VMA. And besides, they’re in the midst of yet another career rebirth. All this should make them the big winners of the evening. Prediction: Nick Lachey. Here’s where the viewers voting might have a major impact. Lachey might steal this one away from Kanye West, who would ordinarily be the favorite. Lachey’s candidacy is buoyed by several factors. First, he’s a hunky former pop idol. Second, there’s the very public disintegration of his young marriage to fellow pop airhead Jessica Simpson (their often-quotable “Newlyweds” show aired on MTV after all). Third, his video explicitly revolves around the breakup. For such a thoroughly prepackaged artist, this first attempt at art imitating life should gather the most votes. The song is still one of the country’s hottest singles, which might be enough to keep Madonna and Shakira away. Ex-“American Idol” Kelly Clarkson shocked many by picking up a couple of Grammys earlier this year, and she could upset again. Prediction: The Red Hot Chili Peppers. On paper, this looks to be one of the VMA’s most contentious categories, but this is where a 20-year legacy might pay dividends for the Peppers. All-American Rejects, Fall Out Boy and Panic! At The Disco are young pups in the rock game with fervent but mostly underage fans. They don’t yet command the stadium crowds nor do they have the multigenerational appeal that the Peppers do. Sadly, Gnarls Barkley is too underground of a sensation to matter. Prediction: 50 Cent. Love him or hate him, 50 Cent remains the most powerful and popular figure in hip-hop today. His movie didn’t do much at the box office but he’s still perceived as rap’s most dangerous man — for multiple reasons. His rivals here — Chamillionaire, T.I. and Yung Joc — don’t have 50’s name recognition nor his recent run of hit singles. Only the notoriety that Busta Rhymes has garnered because of his recent arrest could swing this race away from 50. Prediction: Beyonce. This is another tight contest. The three divas each have their own loyal factions that they can count on and yet, there are reasons to doubt their drawing power, such as sizeable segments of the audience who think one is too popular or another is too contrived, for example. Actor Jamie Foxx seems outclassed with all this female vocal power but his string of hit movies and a high-profile guest appearance on Kanye West’s last disc could be formidable should the female vote split. Prediction: Black Eyed Peas. Wait! Didn’t we just see this category? Is this an extra opportunity to let some of rap’s lighter or poppier artists a chance at a trophy? Kanye West is a strong choice, but his hit couldn’t keep up with “My Humps.” The song is so catchy my 5-year-old nephews were singing it and my sister is glad they haven’t read the words. The Peas also have a broader appeal than West, which should give them the advantage. Prediction: Shakira. The mighty hip-swiveling one won’t be able to translate all those nominations into many Moonmen come awards night. Shakira has her fans to be sure, but “Hips Don’t Lie” isn’t the kind of crossover hit that can take her to the next level. Madonna and Nelly Furtado are dangerous competitors and come prove surprisingly strong. Prediction: The Red Hot Chili Peppers. Green Day would be at the top of the list in this category if their record wasn’t two years old now. There moment has most likely past. AFI and Panic! At The Disco are young and hungry but they don’t have the depth on the bench that the Peppers have. 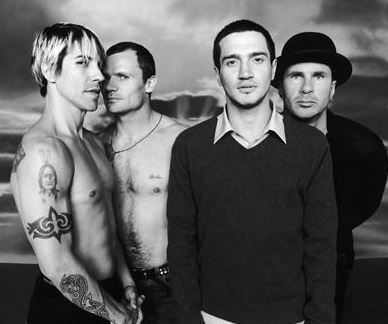 Besides, everyone loves a comeback and the “Stadium Arcadium” record surely was that. Including 30 Second To Mars is a joke. If they didn’t have a semi-famous actor, Jared Leto, in the band, they wouldn’t be here. Prediction: Madonna. I’m going out on a limb to say Mrs. Ritchie could be the sleeper choice. Think of it as fans honoring their elders. Shakira, Christina Aguilera and Nelly Furtado all have a decent chance, but they don’t individually have enough of groundswell that certifies victory. Prediction: Panic! At The Disco. This category is clearly Panic’s domain to dominate. The Las Vegas alt-rockers are the biggest act in this competition and that should keep them ahead, barring any crooked concerted campaign by their compatriots. Prediction: Kelly Clarkson. Clarkson is the only pop star in this race who has experience in allowing the viewers at home decide her fate after enduring weeks of “American Idol.” Shakira could pose a threat but this seems unlikely given Clarkson’s higher public profile. Prediction: Tony Kaye and the Red Hot Chili Peppers. Ordinarily, it would seem that Kaye’s back story is sufficiently intriguing to warrant numerous votes from the curious. After all, he hasn’t directed a music video in years before helming “Dani California,” and he has only directed one major motion picture, “American History X,” with Edward Norton. In addition, he began but left incomplete a bizarre acting instructional video with the late Marlon Brando that further adds to the weirdness. However, it’s the Chili Peppers’ brand and the fact that their new double album contained more blistering lead guitar work and less syrupy vocal hooks that will be the real wind in their sails. Kevin Kerslake’s work has long been underrated and is consistently brilliant. He’s best known for a string of stunning, color-filter-treated videos for Nirvana, Stone Temple Pilots and other ’90s rockers, but he can’t compete with the Peppers juggernaut. Tags: 2006, Kanye West, MTV, Panic! At The Disco, predictions, Red Hot Chili Peppers, Shakira, Video Music Awards, VMA. Bookmark the permalink.